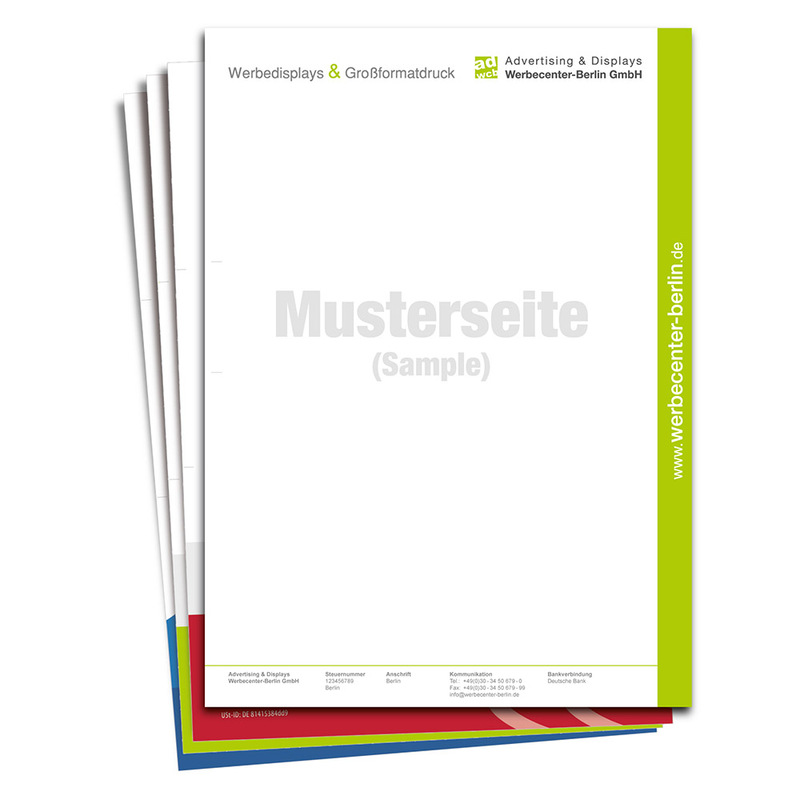 Note papers with your logo, company name and your contact details are a basis for professional correspondence with customers and business partners. For a united company appearance custom note papers are indispensable. You can use them for invoicing, offer letterings, proposal submittal letters, delivery notes and many more occasions. We produce in collective print on 90g/m² paper (white), in offset printing. The printed sheet will be cut to the final format DIN A4 (210x297mm). The back of the note papers will be printed unicolor. Here you can place e.g. general information, your T&C or your onecolored Logo. The front can be designed in multicolored. Also available in 24h express production. For further information, please see our data manual.